Say Something! : Happy Fathers day ! HAPPY FATHERS DAY to all fathers who are blessed with their own bundles of joy ! Mothers mostly get their due in many ways and are more prominent while fathers are mostly the silent & understated pillars of strength .. Salute to all Fathers .. including mine ! who i shouldn't miss this opportunity to say Thanks for everything & Love ya a lot ! 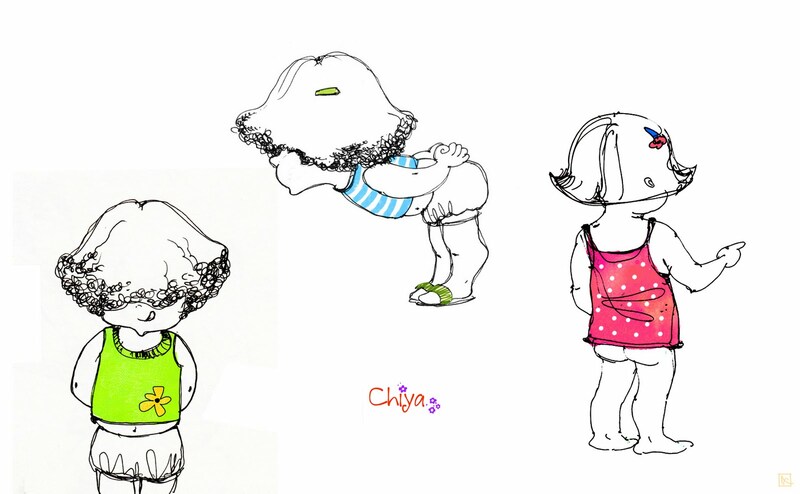 What better day to share some quick sketches of my daughter ! 'Chiya' as she speaks her name in her sweet voice .. There are loads i have been doing while she does all kinds of things around ..
Supercool...... nicely captured. and full on likeness... and happy to c all new updates, budy they all are just amazing. Sketches .. with a style ..